Are you looking to Customize Magento 2 Enterprise Gift Registry? My Team can Help! 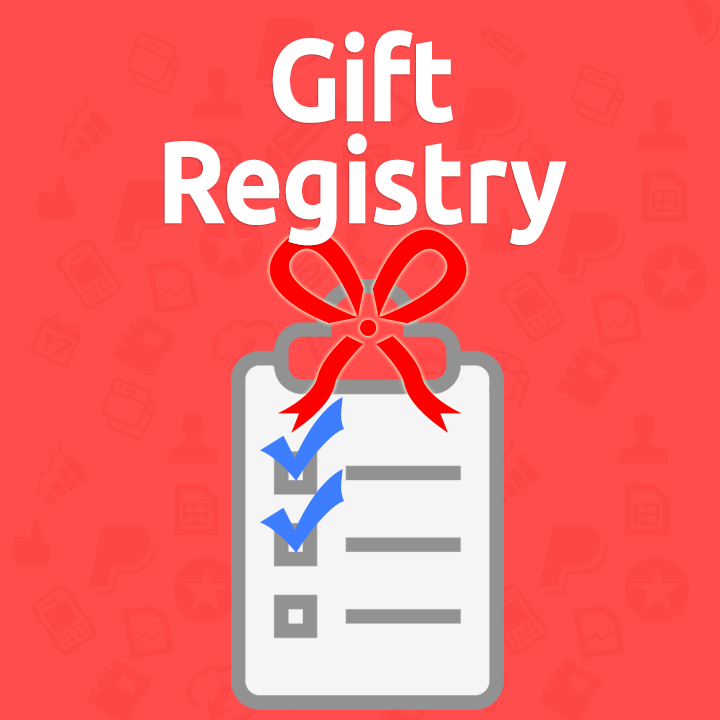 Magento 2 Enterprise Gift Registry Enhancement With Gift Registry Admin & Gift Registry Search. Ability to update Magento 2 gift registry item fulfilled quantity along with requested quantity. Ability to search and add products to Magento 2 gift registry from the backend and not only from the shopping cart items. Ability for gift registry search with Magento 2 gift registry. Keeping these missing features in mind, Schogini offers an extension that allows Magento 2 Enterprise shop owners to update fulfilled quantity, search & add products to a gift registry and search across all gift registries from the Magento 2 backend itself. Magento 2 Enterprise Default Gift Registry How do we enhance it? This module will allow Product Search & Add to Gift Registry feature to the Magento 2 enterprise default gift registry. The admin will be able to search & filter products and add it to the selected gift registry along with its quantity, right from the gift registry's default backend section.Multiple products can be added at the same time with different quantities for each product. The Magento 2 enterprise default gift registry, updates the fulfilled quantity only when a purchase is made online via the Gift Registry link. There is no way the admin can change the fulfilled quantity, other than directly updating the database. But using this module, the admin will be able to update the fulfilled quantity from the gift registry's backend itself. This allows the store to help customers update their gift registry in cases where an order is placed either via phone or some other method. There is no way the admin can search across gift registries in the backend using the default gift registry of Magento 2 Enterprise Edition. But using this module, the shop owner will be able to see all the gift registries created by all the customers in a single place and be able to search through these records based on custom filters. Gift Registry for Magento 2 is a module for Magento 2 Community Edition, which brings the power of Magento 2 Enterprise Gift Registry to the community edition. This is a flexible and advanced extension for implementing customer gift list. Let your customer wishes come true with Gift Registry extension! This extension makes your customers happier: sharing and referring friends to their Gift Registry, they receive the gifts they really want. Regardless of your store product mix, you can grow your conversion rate, since specified gifts from your store will most probably turn to fast orders!